Who is NCDEA? It is every conservation district employee in the United States and territories. Working on behalf of those many thousand conservation professionals, the National Association of Conservation District Employees operates through a Board of Directors. Front row, left to right: Coleta Bratten (South Central Representative and Member-At-Large), Jeanette Kennedy Hale (Treasurer), Tim Riley (President), Rhonda Kelsch (Vice President), Melissa Higbee (Secretary). 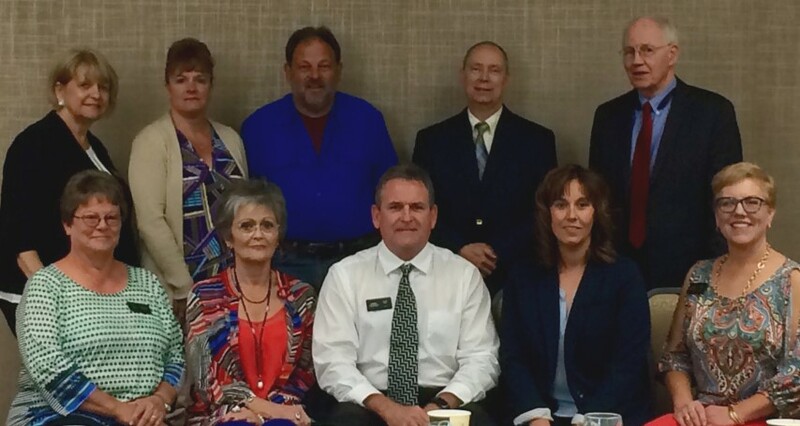 Back row, left to right: Irene Moore (Immediate Past President), Velynda Parker (Northeast Representative Assistant), Jeff Parker (Northeast Representative), Tom Salzer (Pacific Representative), Rich Duesterhaus (Executive Director). Not Pictured: Rhonda Bryars (Southeast Representative). The Southwest Region Representative position is currently vacant.